Italian Studies minor, Paige Gulley, was selected for the summer internship in Museum Education and Administration at the Bowers Museum. 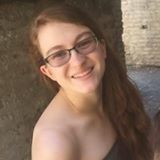 As an intern, Paige will review and research exhibition content and assist in developing educational materials and programs for general public and schools to engage in the Knights in Shining Armor exhibition, on loan from the Museo Stibbert in Florence, Italy, opening at the Bowers Museum, September, 2018. Paige Gulley is graduating this spring with a double BA in French and History and minors in Italian Studies and University Honors Program. Paige is currently the senior editor of Voces Novae: Chapman University Historical Review and serves as officer for the Italian Club and various sororities.